Voluntourism – a combination of travel and volunteering – has been around for many years, but, of late, the tourism niche appears to be gaining momentum. Earlier this year, Tourism Cares, the charitable arm of the tourism industry, released the results of what it calls the first-ever holistic study of the philanthropic habits of American travelers. The study found that more than half of travelers surveyed have given of their money, time or goods while on a recent vacation. And, the travel industry is doing its part by making philanthropic opportunities more easily available to travelers. For instance, The Ritz Carlton Hotel Company’s decade-old Give Back Getaways was enhanced just this fall to create a Voluntourism experience unique to each Ritz Carlton destinations. One example: At The Ritz Carlton Gran Cayman, guests can assist with a conservation program to preserve the endangered Blue Iguanas. 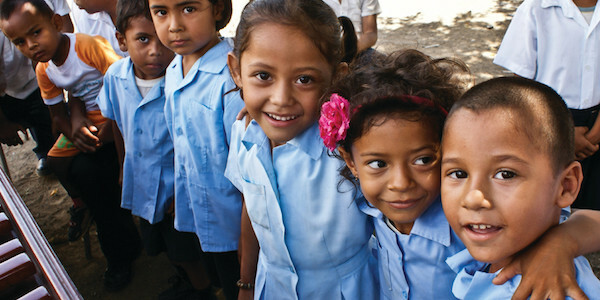 At Four Seasons Resort Costa Rica at Peninsula Papagayo, the long-term relationship with Creciendo Juntos (a local philanthropic collaborative) offers guests customized volunteering opportunities within the local community. Plus in 2016, the resort will introduce more defined Vacations with a Purpose under the Wellness Travel umbrella to include more “giving back” options. For travelers wanting a “full-on” Voluntourism experience there are organized trips such as the 11-day Hands on the Himalayas, being offered by Journeys International to help with rebuilding efforts following the devastating earthquake in Nepal earlier this year. For travelers wishing to “give-back” while on a cruise. Crystal Cruises has recently expanded its popular You Care, We Care program by offering more complimentary philanthropic shore excursions. Since an increasing number of travelers are looking for more meaningful travel experiences, Voluntourism will not only continue to “trend” but, for many, will become an integral part of the travel experience.